Back in 2017, app developer Ben Geskin discovered references to a new iPod within iOS 11's GM code, and on January 25, developer Steve Troughton-Smith discovered references to some new iPads and a new iPod model within iOS 12.2 beta's code. Japanese blog Mac Otakara reported that several sources in Apple's supply chain are certain Apple is currently developing a new iPod Touch. The only thing missing from these leaks and rumors is a release date. And, they're just rumors -- like the iPhone SE 2 was, that never materialized. Over the past few years, Apple's Services revenue has been growing year-over-year with no indication of slowing down. Back in August of 2017, Services revenue alone was the size of a Fortune 100 company, beating out Facebooks entire business. In Apple's fourth quarter of fiscal year 2018, Services made $10 billion in revenue. So what all goes into Apple's Services? There's iTunes, iCloud, Apple Music, Apple Pay, Apple Care, and the various App stores, including iOS games which account for 82 percent of the revenue from Apple's App Store, according to Neil Campling from Mirabaud Securities. Mirabaud claims that Apple has become one of the biggest gaming companies in the world, without currently marketing a single game itself. Apple's iPod Touch isn't an expensive device as a gateway to services. Right now, you can buy a 2015 iPod Touch for only $199 and have access to all of the music, games, apps, and other Services Apple makes available. 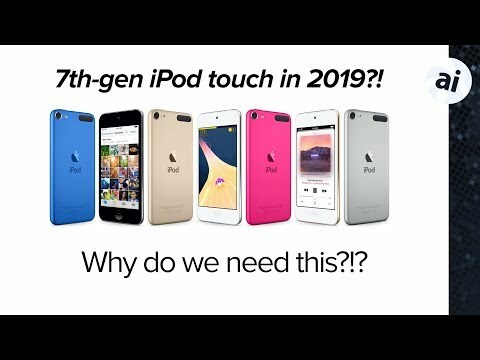 So if Apple is working on a new seventh generation iPod Touch, they're not doing it to make a ton of money on hardware, they're doing it to make money off of services. More and more families are buying handheld devices like smartphones and tablets for children at a younger age than ever before. Buying a cheaper iPod Touch for a young child who simply wants to listen to music and play iOS games makes quite a bit more sense compared to buying a more expensive iPhone with cellular capabilities that require a data plan. If Apple can make it easier for more people to get more iOS devices in their hands, their Services revenue will continue to grow at exponential rates. Not everyone who buys their kid an iPod is going to let them make a bunch of purchases on the App store or sign up for an Apple Music subscription. But, Apple can still make a good amount of revenue from iOS gaming, even without you purchasing anything -- with advertising. Whenever you see the word "Ad" next to an app in the App Store, that company is paying Apple for it to show up, specifically when a user taps on it. So whether you download or purchase that app or not, Apple is making money just off of the impression of that advertisement on a user's device. 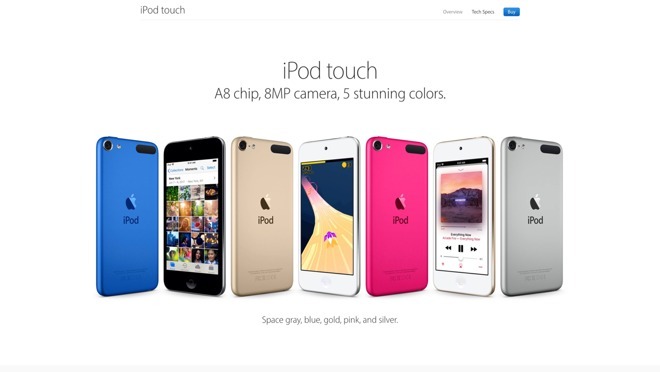 Introducing an updated iPod Touch lowers the cost of entry into Apple's Services ecosystem. A common talking point is that Apple needs to lower the price of the iPhone to get more people on this train -- but an inexpensive and capable iPod Touch can do the same thing. And since Apple has recently been putting out some incredibly powerful processors that can handle basically any game on the App Store, a new iPod Touch with a processor newer than the A8 from four years ago could potentially become a relatively cheap and powerful gaming device on its own. It can, and should, be marketed that way. I definitely would be in the market for a new iPod Touch if the storage space is significantly increased. 128 gigs is way too small for me, so I'm constantly having to delete stuff off my iPod Touch. I suggested after the 6s/SE came out that a larger format iPod would make sense, from a use perspective, as a gaming and movie device for kids who don't need cellular. 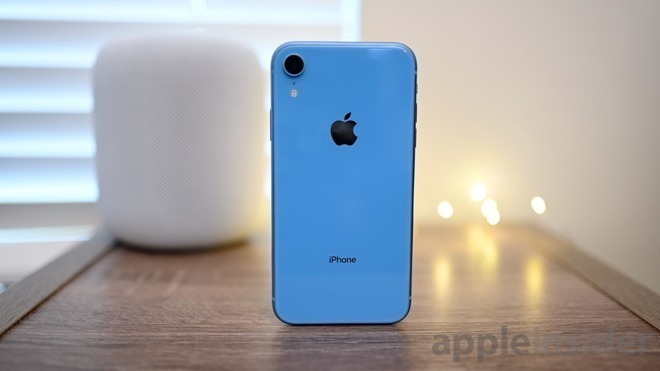 However, while I agree the Xr would fulfill that function perfectly, I don't see how they offer the Xr for the same price point they currently offer the iPod Touch, just by eliminating cellular (which I'm not sure is a very good idea). Moreover, that idea was several years ago before the hand me down iPhone become a common option for parents, of which there is no shortage of large screens in circulation. And considering the safety concerns a mobile phone mitigates, it seems like the age which children are given an active cell phone is constantly dropping year after year. Then there's the size issue. Small children would likely prefer a smaller device like the Touch or SE. Add to that the idea of using it as a dedicated iPod for adults -- it doesn't really make sense for that to be as large as their primary iPhone. So unless Apple plans both an iPod and an iPod Plus, it would seem a smaller model makes sense, while letting the rumored iPad mini serve the larger screen variation. I would think an Xr format shrunk down to the size of the SE, which could perform double duty as an SE2, and a new iPod Touch would be a far better goal for Apple than one as theoretically limited as the iPod Touch, which competes both with the Xr and iPad mini. That way, a cellular connection would be possible if needed, via a software sim only (and perhaps another model with dual sims), and Apple produces one device for all the fringe use needs, at a much lower price point than the Xr, or other larger screen devices. Real question, will it come with a headphone jack? I only use my to plug into external speakers at the pool or a party and I usually don't want to deal with bluetooth (and it generally puts out less volume). White I'm at it, cam we please add back cross-fade playback to iPhones, iPad, iPod and AppleTV? I don't need to mix, I just don't want silence between songs at a party. They used to have it and it is still on iTunes on the Mac/PC. Horsepower is clearly there to make it work - please Apple? (And yes, I have suggested it on their website). 512GB and a headphone jack would make it the DAP with the highest on-board storage available to my knowledge. Do it Apple. iPod touches are also used in some businesses and museums for portable information device with accessibility without the high cost of the phones. Maybe people should look in it as a cheap iPad? I have an 33 year old Autistic son who has been using an iPod Touch for years. He is non-verbal and uses the iPod Touch for communication via apps and pictures. My son also uses the iPod Touch for entertainment. He plays simple games, interacts with various animated story books, and watches various videos that I purchased or transfered to the iPod Touch. He also has an iPad but the Touch is much more portable. I place the iPod in a waterproof case with an external battery. He then uses a lanyard to wear it around his neck. My wife and I have already discussed it and we would love to get our son an updated iPod Touch. Apple should consider including a free year of Apple Music with every iPod Touch. Correct me if I’m wrong, but the XR doesn’t have Force Touch, which would make it a lesser device than if Apple simply based it on the X.
I’d suggest making the Touch with a super deluxe camera, with 3 or more lenses — to get ahead of the Android juggernaut — plus give current iphone owners a reason to buy the Touch. As a super camera pod, with ample battery life and storage memory to use on long shoots, and vacations — without worrying about battery depletion on their iphone. Before it grew so long in the tooth, you could give a kid an iPod touch and use it as a VoIP phone which would allow them to have a phone with them anywhere there was WiFi without the cost of a cell contract. Thank you Paul for your story, a wonderful case of technology assisting people with needs. I hope someone from Apple (and other tech companies) reads your post, and shows their managers (ie. pushes it up to people who make decisions). All the best to you. iPod touch is a great device. Glad to hear it will most likely be updated. A model with 512 GB would be optimal for many folks who like to load their entire library onto their device. It makes a lot of sense to make an iPodTouch because its great for kids before they graduate to a real iPhone. First the MacMini. Now the touch. What might be a really great move is a touch with no cameras. Are cameras really needed for the touch? It would be a great first device for kids. Inexpensive yet functional, and most importantly, secure. No creepers from a shady corner of the world, or local bullies, would be able to trick or coerce a kid into sending pics or going to a video chatroom. No cameras is one less thing for parents to be worried about in this crazy world, and I'd bet it'd be a huge hit.